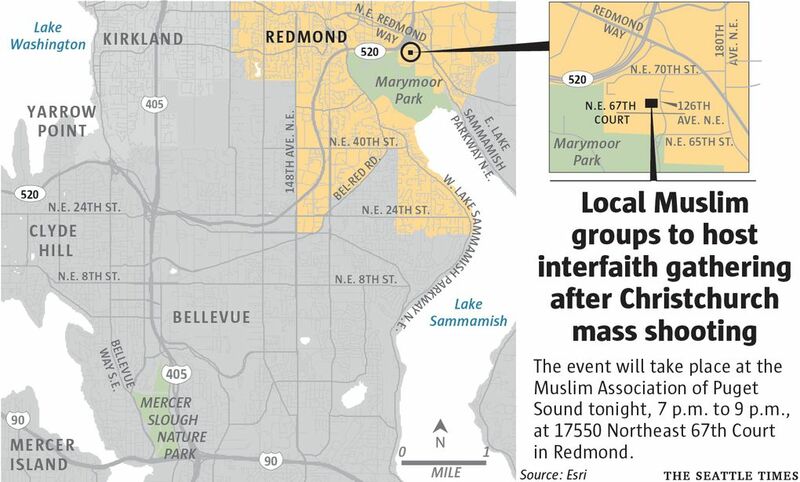 Local Muslim organizations are hosting an interfaith prayer vigil and anti-Islamophobia “teach-in” in Redmond on Monday evening, after last week’s mass-shooting in Christchurch, New Zealand that killed dozens of worshipers. The event will take place at the Muslim Association of Puget Sound, 17550 Northeast 67th Court, Redmond, from 7 p.m. to 9 p.m. 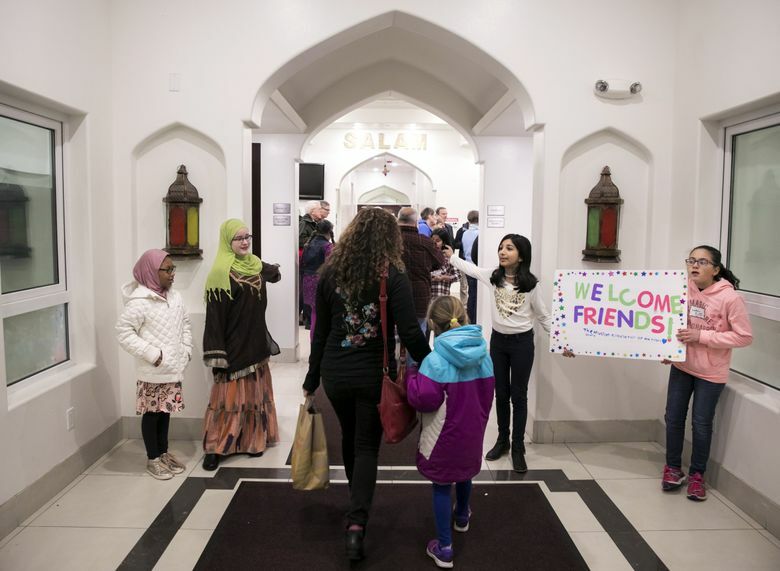 The program will include an interfaith prayer, comments from elected officials and religious leaders, and talks addressing advocacy for Washington’s Muslim community and how to respond to anti-Islam sentiment. Community members of all faiths and backgrounds are welcome to attend, the organizers said. – Editor’s note: Due to the number of comments on this story that violated our Terms of Service, the comment thread has been removed. Daniel Gilbert: dgilbert@seattletimes.com; on Twitter: @ByDanielGilbert.